You are here: Home / Blog / Run a Simulation for World Climate Week! 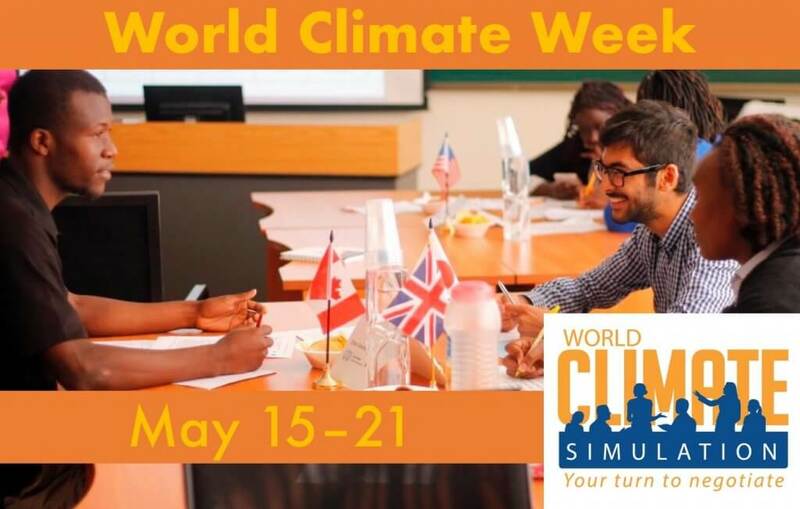 Run a Simulation for World Climate Week! We are launching World Climate Week 2017! This will be a week where people like you run the World Climate Simulation around the world. This role playing exercise of the UN climate talks can help to keep up momentum toward ensuring a world where climate change is well below 2°C. From May 15 – 21 we are asking you to run a simulation in your community! Last year we reached thousands thanks to events led by volunteers from Nigeria to South Korea. We have started off strong this year — there have been events in the Philippines, Mexico, Australia, UK, Hungary, and Turkey; with people in the army, young people in churches, university students, senior government officials, intergenerational groups, and many more. At Climate Interactive we have also updated the Climate Scoreboard and made several analyses of how the world will look under new climate policies from the US. Let us reach more diverse groups — businesses, political parties, community organizations, local leaders, schools, religious gatherings, academics, bankers, artists, farmers, health workers — the list is endless on who might experience World Climate. It’s time to build hope and co-create scenarios of a better future for our planet. Run an event. Maybe you are a teacher who has only run World Climate in your classes, how about running for a community group? Or maybe you have thought about leading an event but never done it. Here is your chance to do it as part of a global week of action! Check out the materials and resources to get started and register your event. Let us know if you have questions or Feedback on your World Climate event. We are looking forward to hearing where you will facilitate a simulation this year!